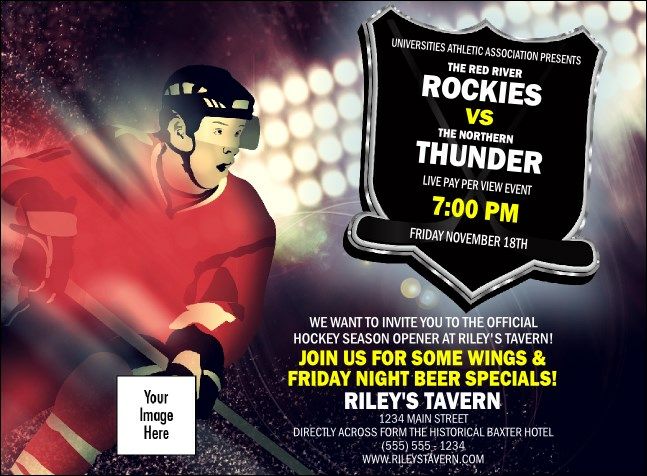 Let your fans get the jump on their seats before the puck drops by sending out personal Hockey Badge Red Invitations in advance! These invitation templates are bold and colorful, featuring a hockey player in action, wearing a red jersey and racing over the ice, plus space for one image upload. Skate circles around the competition with hockey-themed Event Kits from TicketPrinting.com!